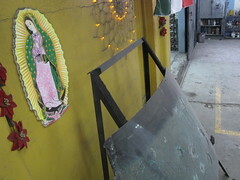 A shot-up windshield from a Honda Accord sits under a shrine to Our Lady of Guadalupe in the garage of Protecto Glass International in Mexico City. The firm is one of the oldest armouring companies in Mexico and has experienced a boom in demand for bulletproof vehicles as perceptions of insecurity increase in Mexico. 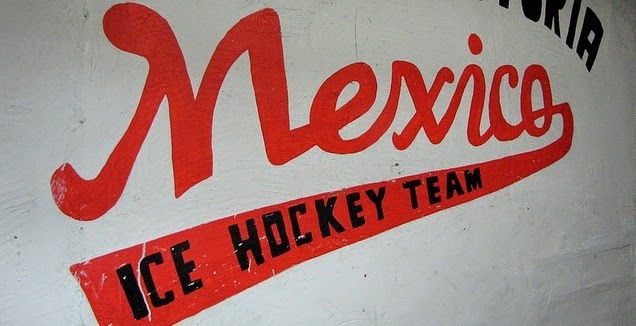 The Mexican bulletproofing business has exploded with the crackdown on organized crime, moving from an industry protecting politicians, executives and the über wealthy to one armoring increasingly more modest vehicles for ever less important government functionaries, small business owners and professionals wanting to ward off carjackings and kidnapping attempts. One industry group values the Mexican bulletproofing business at US $80 million, but that figure might be low since many armoring companies are not registered with the Public Security Secretariat, U.S. firms are capitalizing on the demand from Mexico and the bad guys - according to some - have their own people protecting vehicles. Brazil still leads the hemisphere in armoring, says Esteban Hernández of Auto Safe in Mexico City. Mexico leads in the demand for Level 5 armoring, however - a level protecting against attacks with assault weapons and grenades. Hernández, ironically, came from Colombia in the mid 1990s to promote bulletproofing. Nowadays, he says of the armoring companies in his home country, "They're on the brink of collapse." Read the full story in the Nov. 15 edition of USA Today.